It was a spur of the moment decision to take an after dinner trip to Point Roberts and Lighthouse Marine Park with my wife Edith. I didn't expect much in the way of birding, but took the more compact Nikon with me just in case. 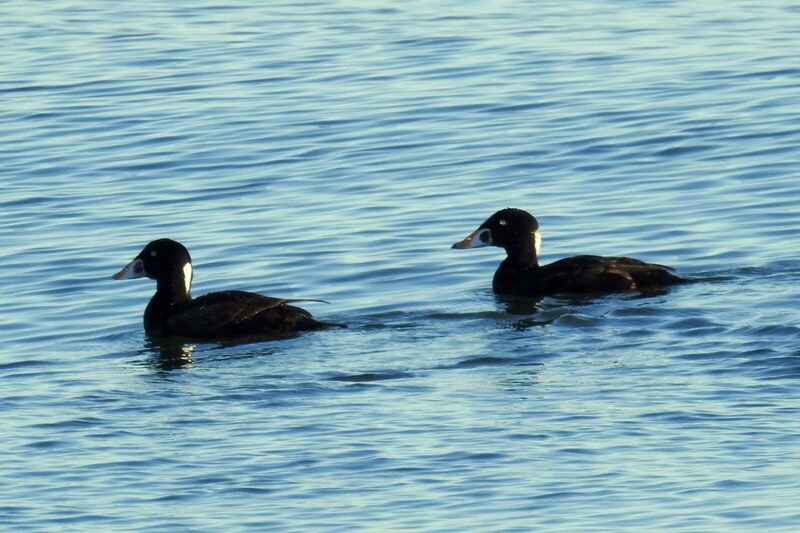 Early on we saw some Surf Scoters near the shore. While we strolled towards the local campground, I kept alert for any other birds. Suddenly I noticed a Loon fairly close from the shoreline and zoomed in. 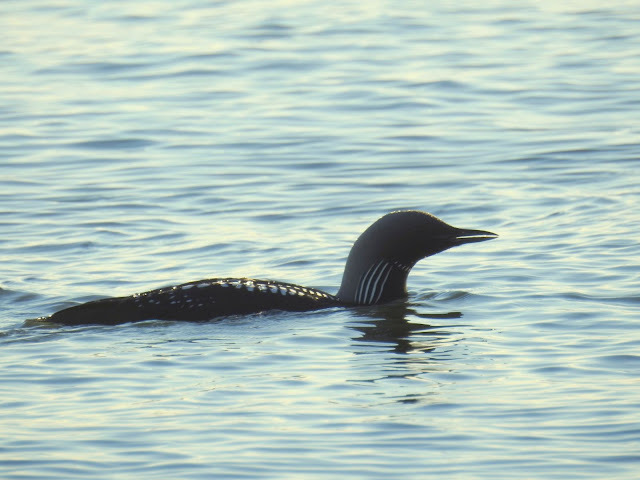 It was a Pacific Loon, probably getting ready to head north for breeding. 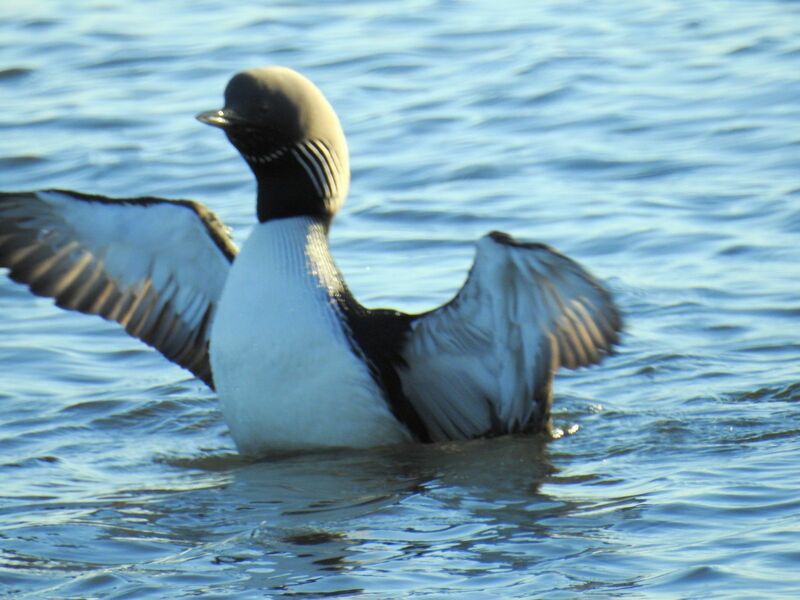 I followed the Loon back towards the parking lot, trying to get the sun at my back. But every time it dove and resurfaced, it had outpaced me. This is the best shot I took during the chase. That was it for birding excitement, we filled up with gas and headed home.